When we think of a lush full flower garden, we immediately link this to lots of sunshine. But, there are some bulbs who don't like to stand in the sun, they rather have a shady spot. 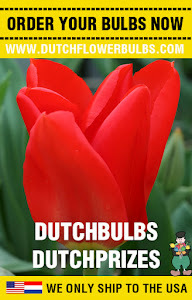 Between our large amount of flower bulbs in our webshop, we offer you also bulbs for a shade garden. Look further than the bulbs you buy normally, try something new. Shade garden or shade in your garden? What is the difference between this? You can assume that a shade garden is a garden where never or barely sun comes. Someone who has a garden on the North, has a real shadow garden. Shadow in your garden, is just something else. Often there is no directly case of deep shadow, but is the garden shaded by surrounded buildings or high plants. Most of the time, these gardens will capture single or several hours of sunlight a day. But in any situation: don't give up your garden. Shade goes quickly to the category of hard a garden, but shade is definitely something to work with. There are plenty of perennials and flower bulbs, where you can make a dark corner in the garden still very interesting. Dry or a moisted shady spot? It is a big misunderstanding that a shady spot is equal to a moisted spot. There is in many of the gardens, a case of a dry shadow. This all has to deal with the present plantation. Gardens with big trees or bushes are very quickly shady. When those plants are all grown up, they have a huge root system under and around the plant. Well, than you can water your perennials and flower bulbs the whole day long. Because those roots needs gallons of water! The many roots are sucking up all the moist from the ground. Above this, the tree crown will make it impossible to let the rain fall down on the ground. We hope you have enjoyed reading this article, read also our other articles!